A new study in Cardiovascular Research, published by Oxford University Press, indicates that patients with high blood pressure are at a higher risk of developing dementia. This research also shows (for the first time) that an MRI can be used to detect very early signatures of neurological damage in people with high blood pressure, before any symptoms of dementia occur. High blood pressure is a chronic condition that causes progressive organ damage. It is well known that the vast majority of cases of Alzheimer’s disease and related dementia are not due to genetic predisposition but rather to chronic exposure to vascular risk factors. The clinical approach to treatment of dementia patients usually starts only after symptoms are clearly evident. However, it has becoming increasingly clear that when signs of brain damage are manifest, it may be too late to reverse the neurodegenerative process. Physicians still lack procedures for assessing progression markers that could reveal pre-symptomatic alterations and identify patients at risk of developing dementia. “Fitness is a strong predictor of who develops hypertension and who does not,” said Al-Mallah, who is also an associate professor of medicine at Wayne State University and head of cardiac imaging at King Abdulaziz Cardiac Center in Saudi Arabia. “Hypertension is associated with a lot of other illnesses and adds significantly to healthcare costs, so we need to know how we can reduce it. People with the highest fitness levels are less likely to develop hypertension, according to new research in the Journal of the American Heart Association. More than 57,000 participants in the Henry Ford Exercise Testing Project (The FIT Project) in 1991-2009 were referred for a treadmill stress test because they experienced chest pain or shortness of breath or to rule out ischemia. Hypertension is a condition involving elevated blood pressure, and if not treated, it can lead to heart disease, stroke and other health problems. A 2008 study published in “Fundamental and Clinical Pharmacology,” found that subjects taking Nigella sativa twice daily had significantly lower diastolic blood pressures than those not taking this herb. Nigella sativa, also known as black cumin, nutmeg flower, black caraway and black onion seed, is a plant that contains seeds that can be used in cooking and also for medicinal purposes. These seeds may not be effective for everyone, and even though they are natural, they can still cause adverse effects and interactions with medications. Consult your health-care provider before using Nigella sativa for any health purposes. Should you take your own blood pressure at home? I had never really considered this question before, but after listening to Dr. Mark Huffman of the Northwestern University Feinberg School of Medicine speak to the Northwestern Memorial Healthy Transitions Program®, I am going to do it. I wrote up high blood pressure, or hypertension, for the blog two years ago. Just to give you some ballpark figures, Normal blood pressure (BP) is 120/80, systolic/diastolic. Prehypertensive is 120-139 over 80-89. Stage one hypertension is 140-159 over 90 – 99. Stage two hypertension reads 160 -179 over 100 – 109. Modifiable causes of high BP or hypertension include smoking, obesity, lack of physical activity, dietary salt, alcohol consumption and stress. Causes of high BP over which we have no control include older age, genetics, family history of high BP, chronic kidney disease and adrenal and thyroid disorders. 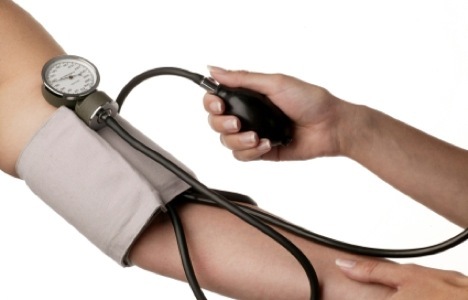 • Get your blood pressure checked regularly. Some 67 million American adults (31%) have high blood pressure—that’s 1 in every 3 American adults. Anyone, including children, can develop high blood pressure. It greatly increases the risk for heart disease and stroke, the first and third leading causes of death in the United States.” Emphasis mine. Dr. Huffman said that home blood pressure measurements are increasingly preferred as adjuncts to those taken in the doctor’s office. “Automatic sphygmomanometers work well. Omron, upper arm cuffs are preferred and are often covered by insurance. ” He recommended checking out Amazon where they are available for $45 to $65. I liked very much that the CDC recommendations were all lifestyle ones and did not include any taking of drugs. Obviously, this assumes that our blood pressure is in the normal range. Perhaps if we get our lifestyle in synch with these recommendations, our blood pressure won’t go up and we won’t need to go the drug route – ever. I am arranging to get a blood pressure monitor and plan to take mine regularly at home and furnish my doctor with the numbers the next time I see her. Clinical pharmacologist Jens Titze, M.D., knew he had a one-of-a-kind scientific opportunity: the Russians were going to simulate a flight to Mars, and he was invited to study the participating cosmonauts. Titze, now an associate professor of Medicine at Vanderbilt University, wanted to explore long-term sodium balance in humans. He didn’t believe the textbook view – that the salt we eat is rapidly excreted in urine to maintain relatively constant body sodium levels. The “Mars500” simulation gave him the chance to keep salt intake constant and monitor urine sodium levels in humans over a long period of time. Now, in the journal Cell Metabolism, Titze and his colleagues report that – in contrast to the prevailing dogma – sodium levels fluctuate rhythmically with 7-day and monthly cycles. The findings, which demonstrate that sodium is stored in the body, have implications for blood pressure control, hypertension and salt-associated cardiovascular risk.